Dahlias are magnificent plants for summer colour in the garden and are excellent as cut flowers indoors, too. 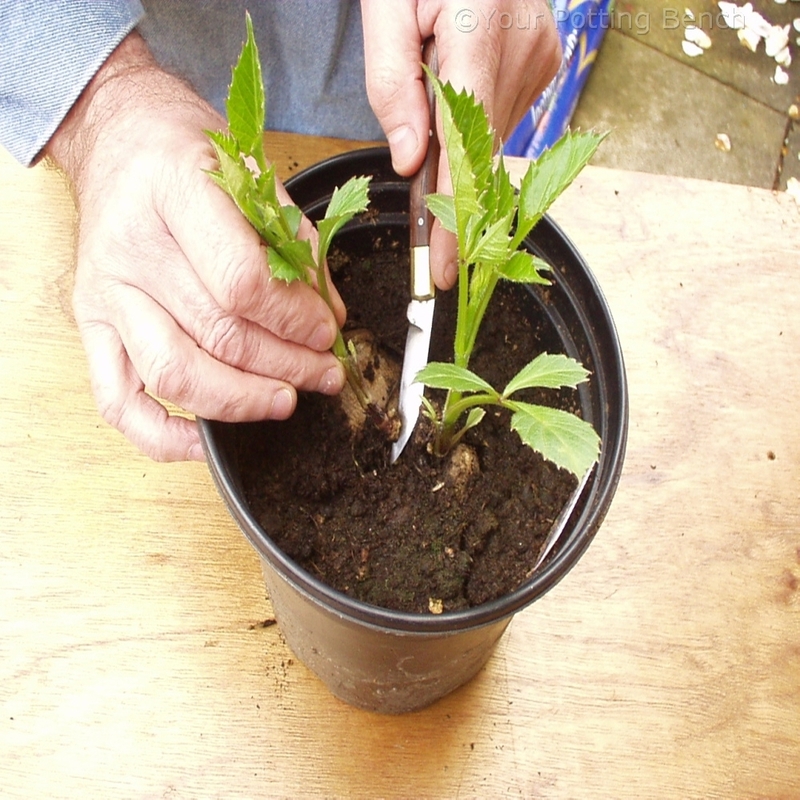 You can increase your stock of dahlias by taking cuttings as new shoots are produced in spring. 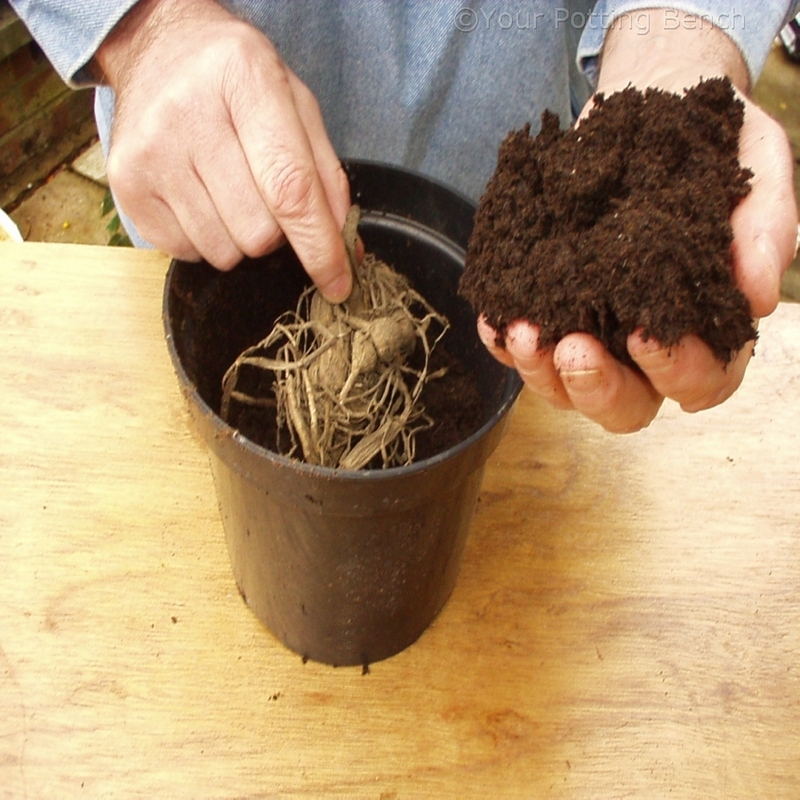 Take a plant with healthy, firm tubers and pot it into fresh, sterile multipurpose compost. 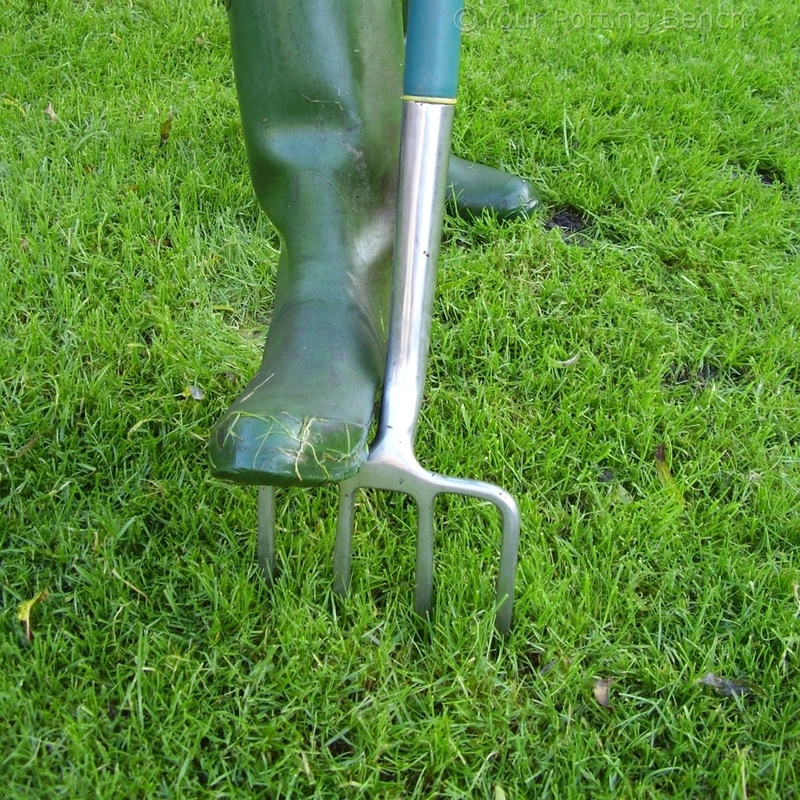 The point where the stem meets the roots should be at the surface of the compost when you finish. Within weeks, new shoots should start to grow. 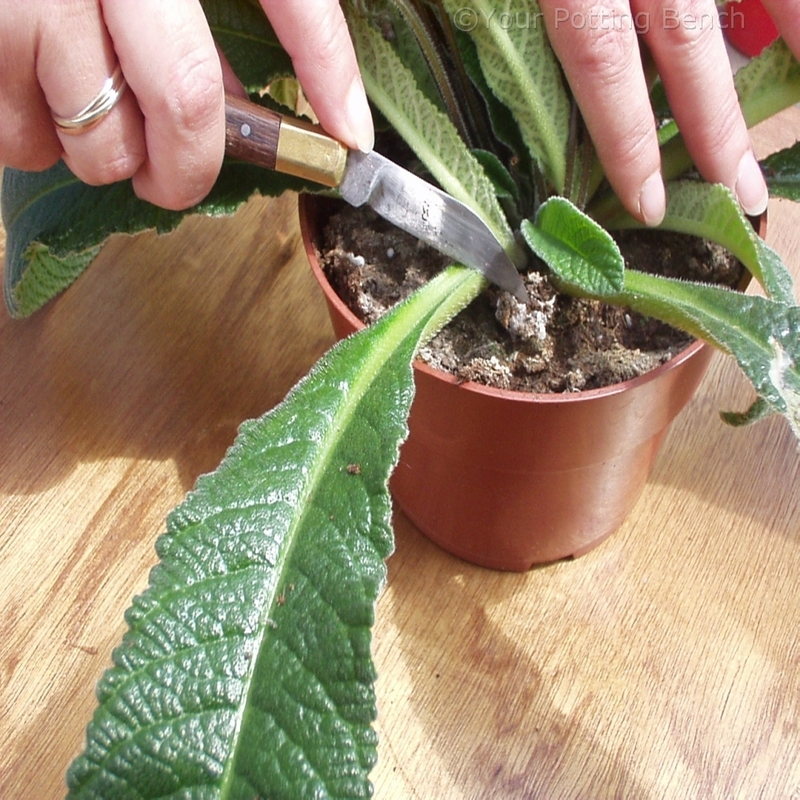 When one reaches about 10-12cm, clear away the compost from the base of the shoot and remove it from the mother plant right at the base with a clean, sharp knife. 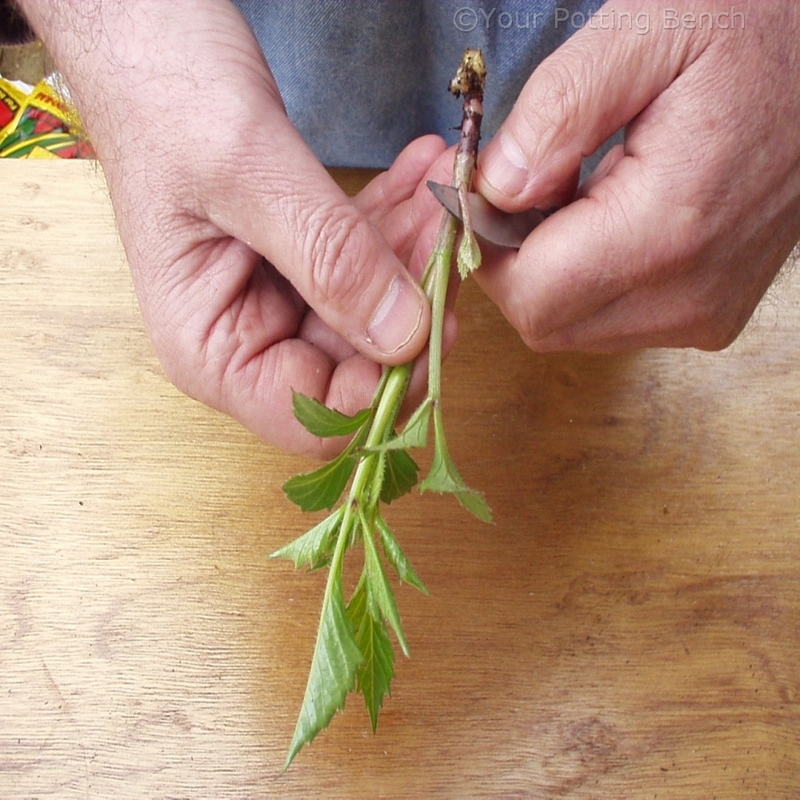 Trim the cutting to remove the leaves from the lower third, as they would rot in the compost. 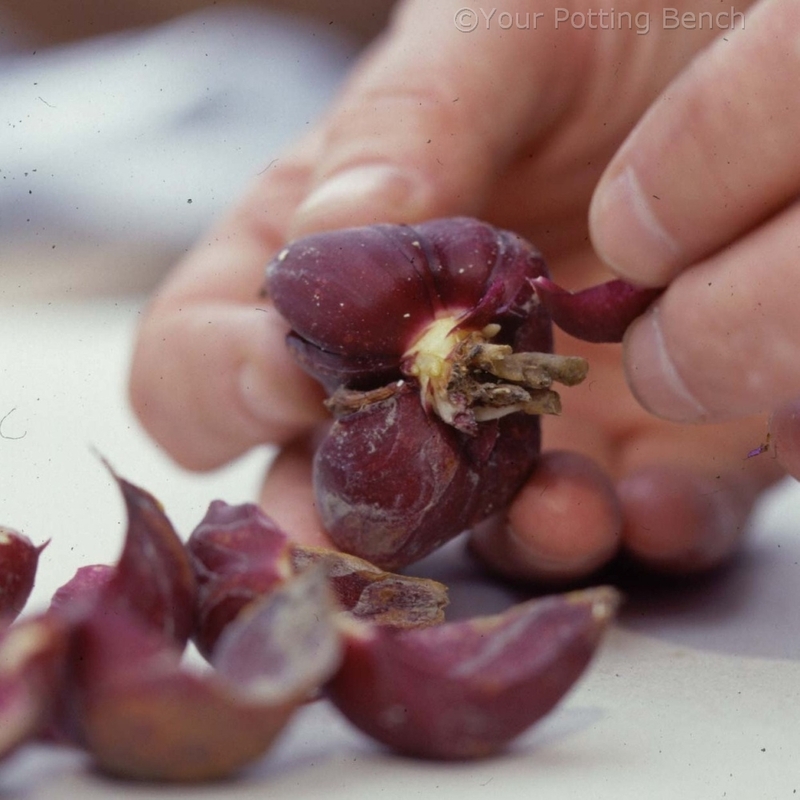 As long as you take the cutting with a little of the pinkish root at the base, there is no need to dip it in rooting hormone gel/powder. 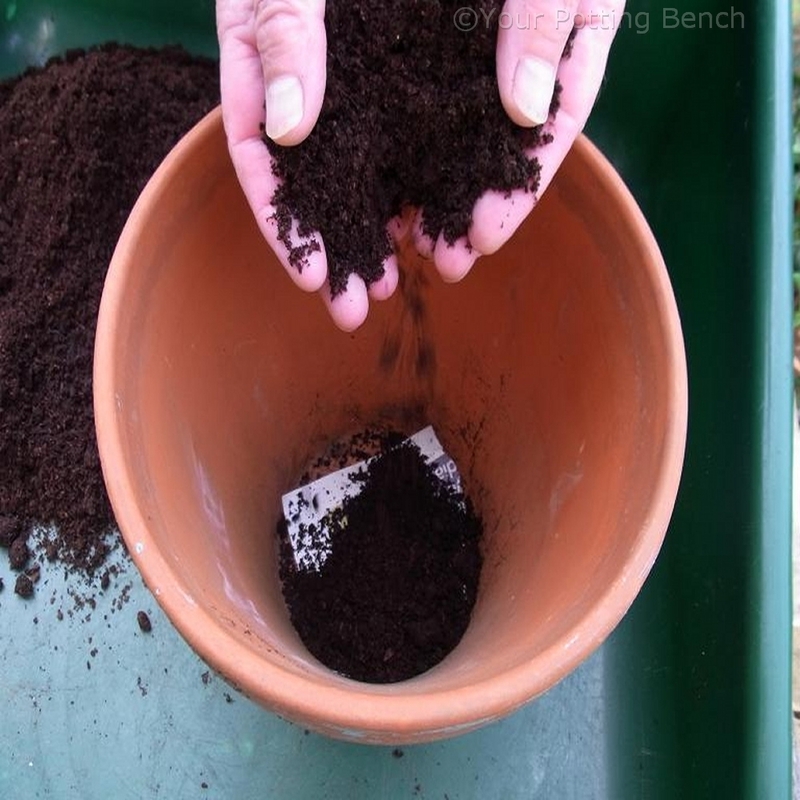 Insert the cutting into a pot of fresh, sterile multipurpose compost and water to settle the compost around the base. Covering the cutting increases humidity, which reduces water stress until the cutting has its own roots. 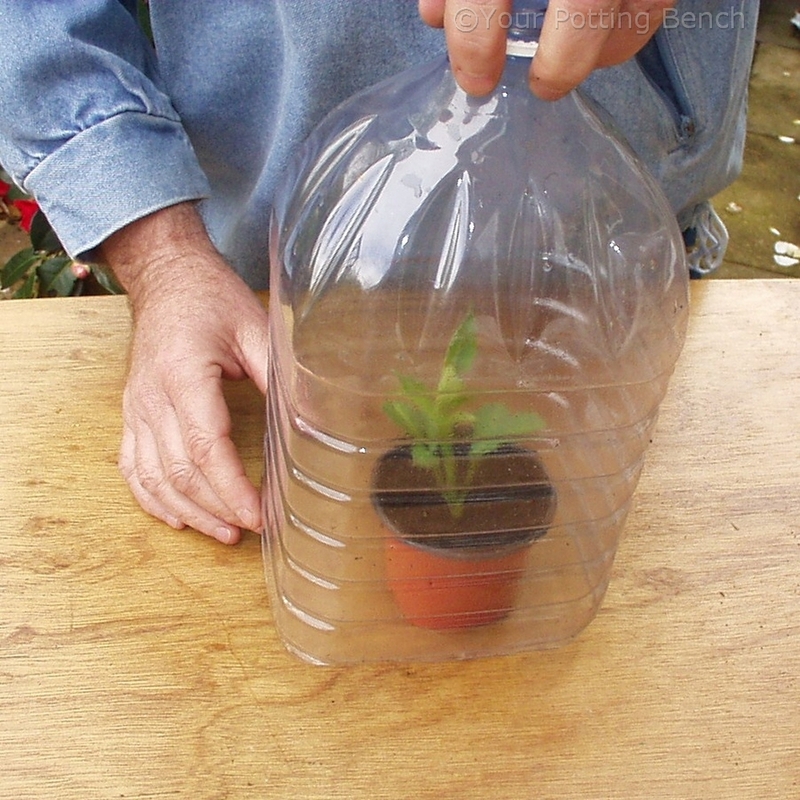 Here you can see a large water bottle (with the base removed) acting as a temporary cover.